Sergio Pessoa had spent his whole life training for this moment. As he walked into his under-60-kilogram fight against Yerkebulan Kossayev of Kazakhstan at the ExCeL Exhibition Centre in London, England, representing Canada at his first-ever Olympic fight, he soaked in the moment—and knew he was ready for it. “In my head, I’m thinking, ‘I prepared so much,’” said the 23-year-old judoka from Sao Paolo, Brazil. “I went through it so many times in my head and I was ready for the moment. I was a bit stressed, but it was nothing out of the ordinary. Unfortunately for Pessoa, who moved to Montreal in 2006, all the preparation in the world could not have helped him on this day. Despite an evenly fought match, Pessoa lost by unanimous decision after taking a penalty for a false attack in the “golden score” period of the fight—similar to overtime in other sports. Pessoa understands now that he can draw from this experience at the 2012 Summer Games in future competitions, but that wasn’t the first thing that crossed his mind when the judges announced their decision. Pessoa admitted it took him a couple of days to get over the early defeat, but he recuperated quickly and made the most of his two weeks in London. He made sure to attend the surreal closing ceremonies, after being unable to attend the opening ceremonies because of his fight the next day. Despite participating in an individual sport, Pessoa exudes qualities of a good teammate; his lasting memory of the London Games was not a personal one, but was a moment dedicated to celebrating his teammates’ accomplishment. Pessoa started doing judo when he was only four years old. His father, Sergio Sr., owned a judo club in their hometown of Sao Paolo. Pessoa has followed in his father’s footsteps in more ways that one; Sergio Sr. was also an Olympian in judo, and Sergio Jr. wants to follow in the same professional field as his father; both share a keen interest in finances, specifically the stock market. Pessoa enjoys trading stocks when he has time off from training, and will be looking to get accreditation as a chartered financial assistant once he finishes his bachelor’s degree in finance at the John Molson School of Business this semester. In true Olympian fashion, Pessoa did not hesitate when asked what it was about his sport that he enjoyed the most. After experiencing the lows in London, it’s safe to say that Pessoa will be working harder than ever to be in top form for the Rio de Janeiro Games in 2016, for what he says will be his last Olympics. 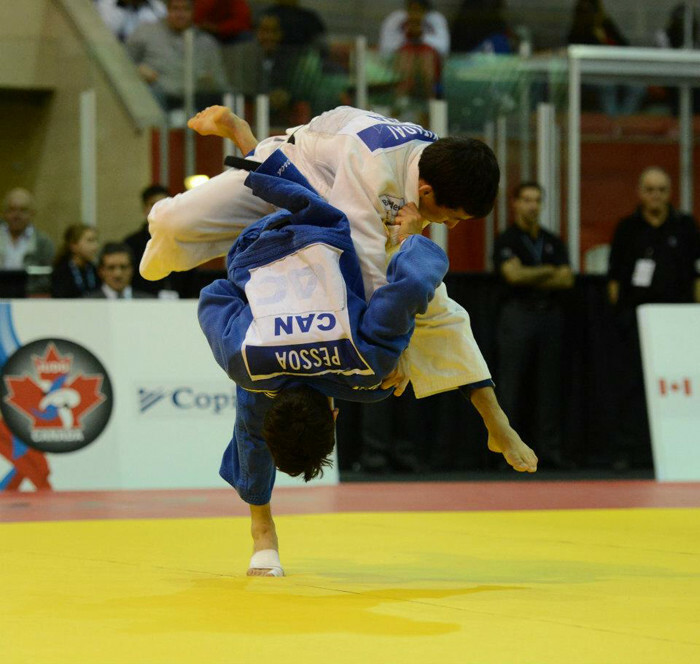 It’s a story right from a movie script—a Canadian judoka on the podium in his country of birth in his final fight. Pessoa certainly hopes it turns out that way.